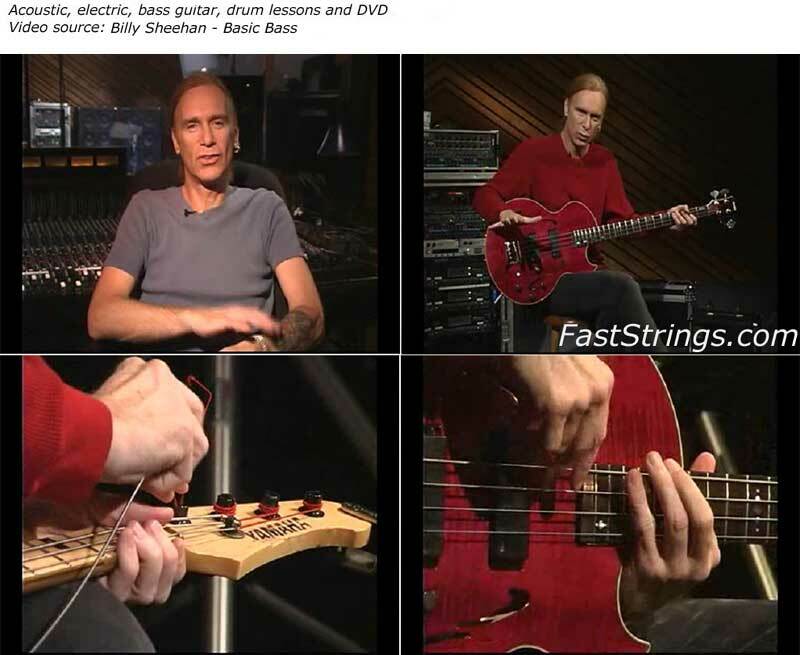 Billy Sheehan Basic Bass DVD download. Simple easy to follow instructions from start to finish from a great bass player. Billy Sheehan is one of the World’s most respected Bass players and presents his basic bass tutorial. This Bass legend introduces beginners to the fundamentals and the important basics of playing the bass guitar. The solid platform that he forms gives beginners an early advantage on their journey of development. Everything from choosing a bass, setting up your amp, and tuning to left and right-hand technique, keeping time and slap and pop are covered in Sheehan’s easy-to-follow unique style. This video provides a perfect start for anyone wanting to learn Bass guitar or to sharpen and improve from their current level. This is not for anyone who wants to learn notes and the basic “How do you play it” but this is more for the first step on learning about Bass. Imagine one of the world best ROCK bassist helping you out on basics of BASS playing and or purchasing a bass. It’s like he is with you in the store helping you pick out one or assisting you with all the questions you might have if you go into a store. Any new player will be MUCH more informed on getting or upgrading to a Bass Guitar by checking out this DVD! This man is really a class a part! Which part the booklet is pls? this is the best i have seen,you are truly a great player. Good Job !! this is very Valuable Stuff.